"A Kitchen Refresh with Honey Oak Cabinets"
Enter your email address to automatically receive blog updates delivered to your inbox! Hi there! It's been a couple of weeks, but I'm back with some pretty exciting news! Back in May I received a Facebook message from Hoffman Media requesting my mailing address. Apparently, they were hoping to send me a copy of a design book I was featured it. Of course, not having any prior knowledge of what they were referring to, I kindly asked for more information. 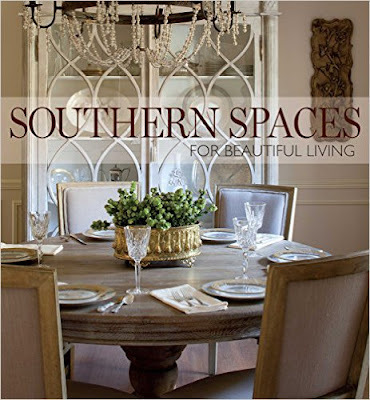 It turns out, they were putting the finishing touches on a book entitled Southern Spaces for Beautiful Living and a project of mine previously featured in their premiere issue of Southern Home magazine would be included in the new book. "Say what?" OMG! Ok, a magazine is one thing, a design book is another. I could hardly contain my excitement! On September 8th, expecting to receive an Amazon shipping notification, I received a shipping "update" notification instead. The book would be shipped on Monday, September 12th. NOOOOO!!!!! How exciting is that? (Ignore the fact that I look like a crazy person.) I honestly recorded it just to capture the moment, but it's so funny that I decided to share it with you guys. According to the media company, the book is the ultimate guide to Southern design. It breaks down beautiful living room by room. 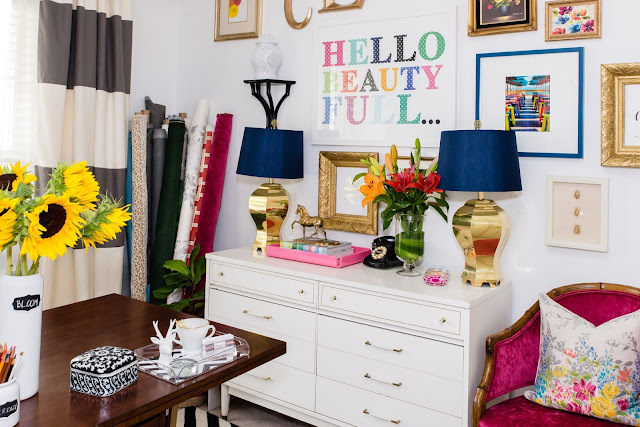 From kitchens to living areas to master suites, you’ll find a range of looks that embrace the region’s signature styles, as well as savvy ideas from experts and homeowners, to make the most of every space in your home. I haven't even had a chance to look through it yet. I did glance at the back credits and I saw a few of my social media/design friends included as well. So, I'm officially published in a book! And, in case you're wondering, it's my home office that's included. I'm so very grateful to the folks at Hoffman Media. They were the first national publication to allow me the honor of gracing their pages and I'm truly humbled to be among the amazing talent included in their latest release. If you're interested, you can purchase it on Amazon (slightly discounted) HERE. CONGRATULATIONS!!!! Well deserved! Ordering my copy so I can get it autographed the next time I'm in Charlotte.